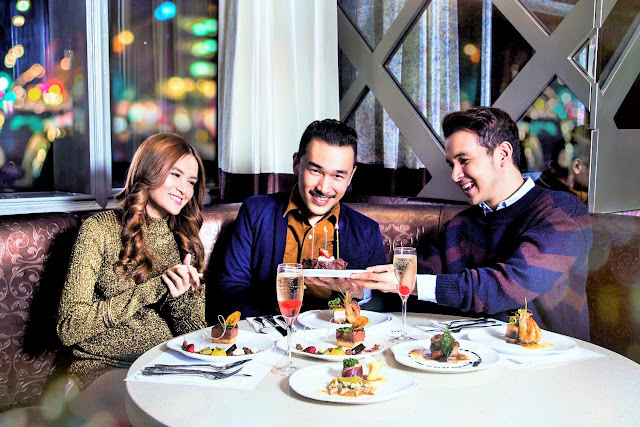 NIU, Viking's upscale Buffet Restaurant located at the Skypark of SM Aura Premiere, Taguig, also offers Birthday Buffet Promo so you can celebrate your day with a bang! 1) Birthday celebrator of all ages can avail of the NIU By Vikings Birthday Promo on the day itself and on their birthday month. 2) Celebrators can eat for free ON THE DAY of their birthday on both lunch and dinner, as long as accompanied by ONE FULL-PAYING ADULT. 3) Celebrators can eat for free for ONE MONTH on both lunch and dinner per day, as long as it is within the month of his/her birthday and accompanied by FOUR FULL-PAYING ADULT. 8) This promo is available in NIU by Vikings, SM Aura Taguig. Check NIU By Vikings Buffet Rates HERE. 26th Street Corner McKinley Parkway, Taguig.